Not only there are some popular Tourist Attractions in Hyderabad, but it is a place where you can get all the shopping items under one roof. There are some amazing shopping markets in Hyderabad and when we talk about malls in Hyderabad, they are well-equipped and enormous. They have both global and domestic brands. Shopping Malls in Hyderabad have venues likes food department, theaters and entertainment courts to have unlimited enjoyment. 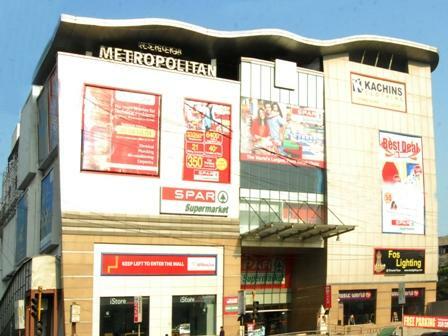 Let’s have a look at the list of 10 Best Shopping Malls in Hyderabad. 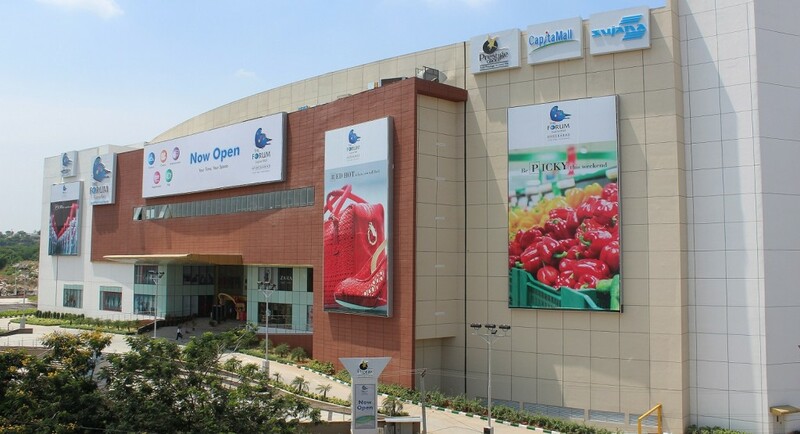 Inorbit Mall is one of the Hyderabad’s largest mall located in Hitech City, Madhapur and is facing the durgam,cheru lake. This is a place where every IT guy visits, best place to hangout. A spot to shop and eat. They have international cafe chain and gaming department. As you move inside you will see a huge supermarket on the ground floor. It is built in a sheer size with amazing outlets by popular fashion brands like AND, Giordiano, Locaste and Benetton. They also have retail common chains such as Shoppers shop, Lifestyle etc. Address : Survey No.64, APIIC Software Layout, Mindspace, Madhapur, Hyderabad, Telangana 500081. It’s the second Best Mall in Hyderabad. An amazing shopping hub in Banjara Hills. The food served at this mall is lip smacking. It has a gaming zone and Shopping centre which grabs all under one roof. For business travelers it’s a well known mall. There’s a famous pub known as Firangi Pani where you join come over to Party. The mall has many restaurants such as Angeethi, Aromas of China and many more. It’s mainly famous for food and serve you with whole lot of heavenly dishes. It offers an inexpensive shopping experience. Address : Road No. 1, Banjara Hills, Hyderabad, Telangana 500034. It’s the oldest multiplex of Hyderabad. The location is superb as there is a garden on the opposite side. 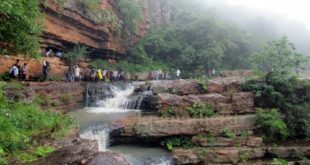 Its located on Necklace road, Hyderabad, Telangana state in India. It was opened on 28 July 20002 and is a 2 floored mall. It’s fully air conditioned multiplex spread over an area of 235000 sq ft. It’s the most popular IMAX theater in India. The theatre is 72 foot high and has a 92 foot wide screen, 635 seats and a 12,000 watt sound system. The food court here is one of the best and mesmerizing place to eat. They serve you delicious dishes as per your taste and also feature international food. They have a Gaming Zone as well. BEST PLACE TO SPEND TIME AND CATCH IMAX MOVIE ….! Address : NTR Gardens, LIC Division P.O., Hyderabad, Telangana 500063. 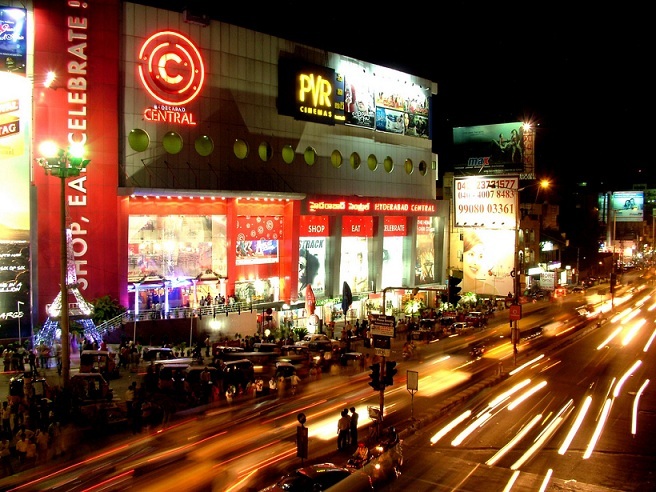 Hyderabad Central Mall is located on Punjagutta Road. It is spread over a huge area of 250,000 sq ft and was launched in 2004. It’s the most glittering and sophisticated mall in Hyderabad. It’s a new addition to the range of city malls in Hyderabad. They have almost 300 brands for clothing starting from Marks and Spencers to many others. They too have a wide collection of books and music. There is a PVR cinema on top floor and they feature a coffee shop, restaurant, super markets and food departments. Address : 6-3-673/1-4, Punjagutta Cross Road, Punjagutta, Hyderabad, Telangana 500082. 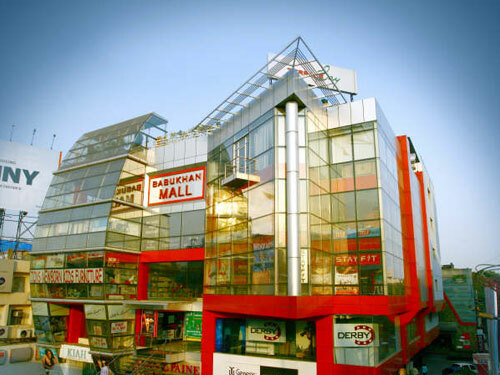 Babukhan Mall is a very big shopping mall,located in the area of Somajiguda, Hyderabad. Its spread over an area of 80,000 sq. Ft and was completed in 2005 .This mall has many cafes and restaurants. The terrace Bay restaurant is highly recommended if you visit the beautiful mall. This is a new property and its nicely built, good place to shop and dine. Address : Rajiv Gandhi Circle, Somajiguda, Hyderabad,India. MPM mall is a swanky mall which is located in Abids. They have a wide collection of footwear, apparels, appliances, jewellery, accessories etc. It offers you a spot of shopping where you can find from expensive branded outlets to normal and common brands like Big Bazaar. They also offer you a huge open terrace where you can have your business meetings or private parties. 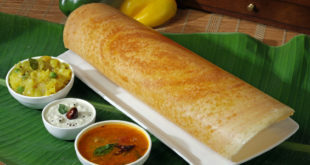 MPM mall has a restaurant where you are served with delicious cuisines. It’s fully air conditioned and is quite popular among the visitors. Address : 184/1, Bank St, Hanuman Tekdi, Abids, Hyderabad, Telangana 500001. Ashoka Metropolitan is a commercial project by Ashoka Builders. 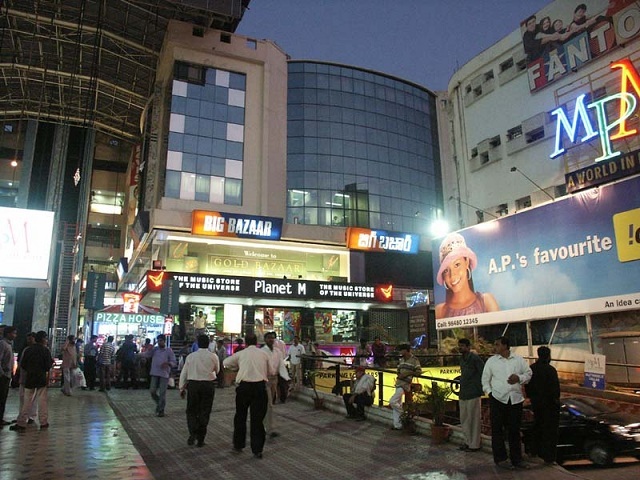 It is another amazing and popular mall in banjara hills. Its a great place for shopping as well as eating. Here you will find little entertainment zone missing but instead of this they have a cozy pub where you can spend time with your friends. It’s designed by most renowned and talented architect Hafeez contractor, AMM is quite a popular hotspot of business activity. Large LCD which is displayed in Central lobby. ONE OF THE MOST HAPPENING MALL ….!! Address : Road No 12, Banjara Hills, Hyderabad, 500034. 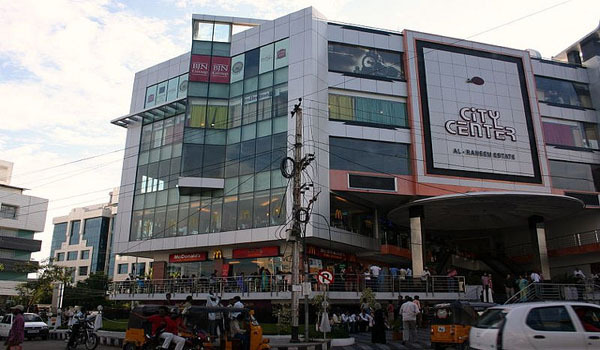 It’s a world class shopping mall located at Road no 1, Banjara hills in Hyderabad. It was opened on 1 May 2009. It’s spread over an area of 350,000 sq ft and has 70 branded stores. It has some international fashion brands such as MAC, Louis Philippe, UCB, Zodiac, MNG and many more. 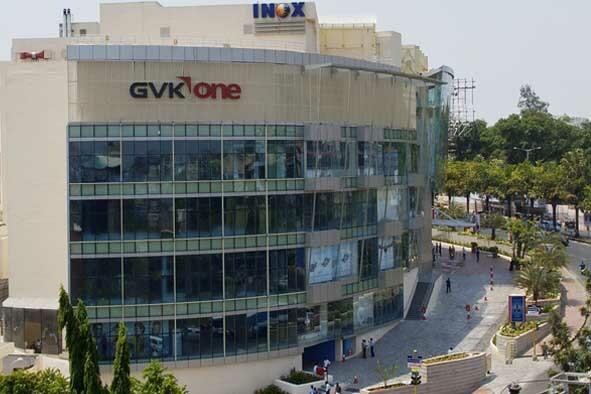 The mall has 6 screen INOX multiplex housed in it. It has overall 7 floors and a beautiful aquarium on the ground floor. Best place to hangout, shop, eat and for entertainment. Address : Rd Number 1, Banjara Hills, Hyderabad, Telangana 500034. Its located in the heart of Hyderabad, Kukatpally and was opened in September 2014. The latest the most wonderful and happening mall in Hyderabad. A really good place to eat, drink and have a great fun and even shop till you drop. Its a crowded place with many options like Super markets, Cinema halls, Playing world and eating spots too. Here you can get all brands from International to National. The parking lot is wonderfully designed. FSM is a destination mall for food,fashion ,entertainment and cinema. Address : Plot No. S-16, Survey No. 1009, Opposite Malaysian Township, KPHB-6th Phase, Kukatpally, Hyderabad, Telangana 500072. Sanali Mall is the best place for shopaholics. It’s located on Chillag Ali Lane, Abids Road, Hyderabad. It’s a beautiful mall constructed by Sanali Group. This mall houses many brands are like Mc Donalds ,khanaza Jewelers, kusum and etc. As you step inside the mall you will see a large central Atrium with high quality Marble and capsule Glass lifts. They are leading providers of garments, fabrics, yarns and accessories. You can shop for the entire day in this amazing mall. Address : 5-9-225, Chirag Ali Lane, Abids, Abids Road, Hyderabad, Telangana 500001. How to pay Traffic e-challan in Hyderabad ? 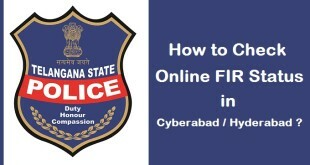 How to Check FIR Status Online in Hyderabad / Cyberabad ?